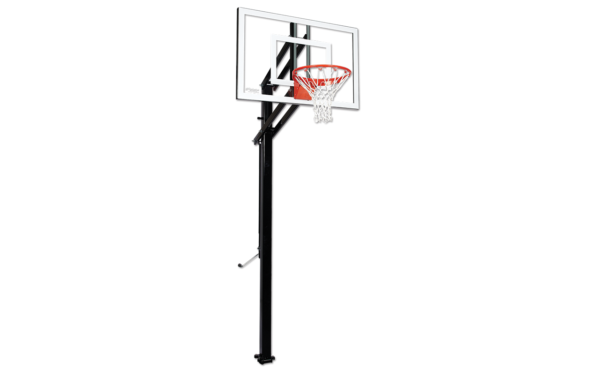 The Goalsetter X448 glass in-ground basketball system features a 32-in x 48-in tempered glass backboard with a 4″ square pole and 2 1/2′ of safety play area. 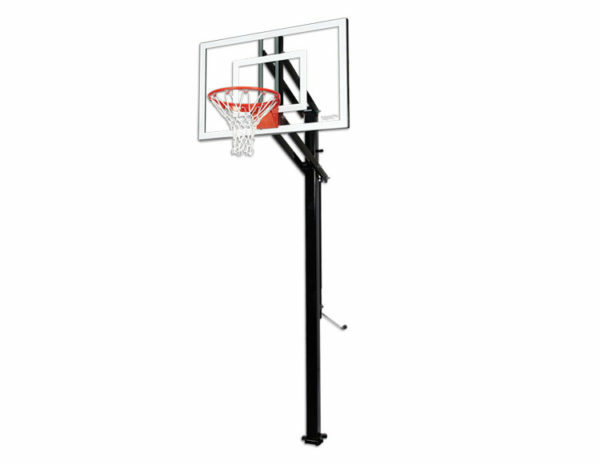 It’s equipped with structural steel extension arms, a ground anchor and a 90-degree adjustment handle for height adjustments from 6’8″ to 10′. The Goalsetter X448 takes shooting hoops to a whole new level. Complete with a 2.5-foot play area and a competition tempered glass backboard, this system is the ideal combination for all skill levels. It’s built with structural steel extension arms, features a 90-degree adjustment handle, and mounts with a patented ground anchor for the ultimate in stability. Adjusts from nearly 7 feet to 10 feet in height.